More than 40 recipes to pamper yourself from head to toe! 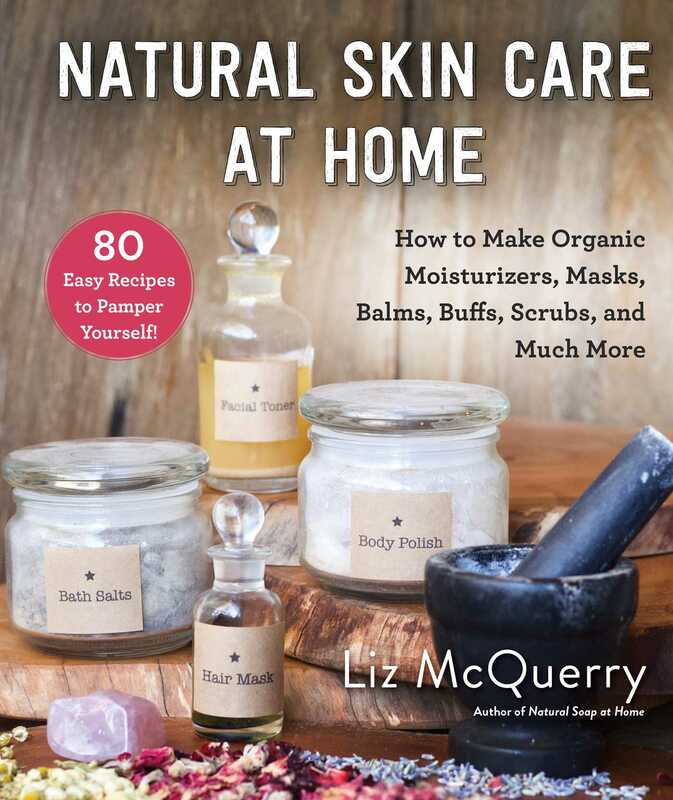 Through years of herbal studies and running her natural skin care line, Moon Magic, author Liz McQuerry has accumulated a wealth of knowledge and recipes that she’s sharing for the first time in Natural Skin Care at Home. McQuerry’s products are organic, and nearly all of them are vegan (beeswax is used in some). Main ingredients are easy to come by and include shea butter, cocoa butter, oils (olive, sunflower, castor, jojoba, avocado), plants and flowers, herbs and resins, crystals and minerals, clays, salts, sugars, soaps, and more. If you want to get your hands on great recipes, learn about your specific skin care needs, create thoughtful, handmade gifts, or start selling your own line of skin care products, this book is for you. Recipes will allow you to pamper yourself from head to toe. And even bath products, including bath salts, bubbles, scrubs, and polishes! With easy to follow, step-by-step instructions and photographs, charts, shopping lists, resources, and gift set ideas, Natural Skin Care at Home is perfect for anyone looking to make their own products.